Showing items tagged with "email communications" - 6 found. As part of the 7th International Clean Out Your Inbox Week, I was privileged to work with David Grossman CEO and founder of the Grossman Group leaders in strategic leadership and internal communication. This is the first of three discussions we had by a variety of media (phone, email etc). Monica: Just how effective do you feel email is as a communications tool? No wonder email gets a bad rap. Very few of us can say that we haven’t committed at least one of the sins above. We’re part of the problem, and also can be part of the solution. The second interview reviews how we can make our email communications more effective and at the same time reduce the volume of email overload. 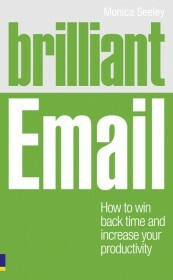 Can email etiquette help stop email overload and enable you to reach inbox zero status? 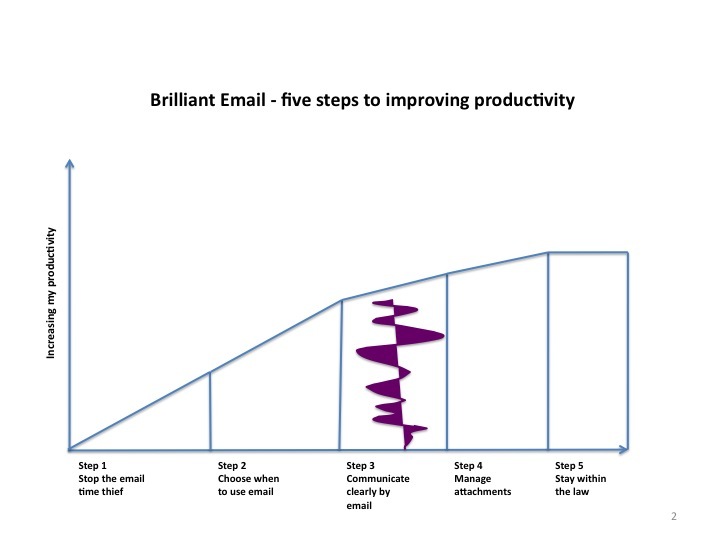 In my book Brilliant Email, email etiquette is identified as step 3 for improving productivity – see diagram opposite. Like any form of communication, it is about conveying the right message right first time and know when to stop the conversation and move on. In a previous blog I wrote about the importance of good grammar and spelling. How often in an email do we leave ourselves open for the recipient to send a reply which adds little or nothing to the communication but means that out of courtesy we must reply again? Take a look at the email chains in your inbox and I’ll bet you have quite a few which could have been terminated much earlier. For example, when you ask someone for information, to do something etc. There are often two or three quite unnecessary rounds of email ping pong as you each play what I call the ’email thank you game’. Recipient – Yes OK will do. Sender – By the way can it be done by 12.00 noon? Etiquette suggest that we say thank you. 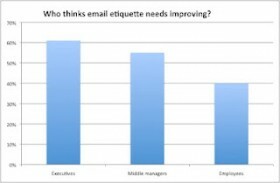 But how about using brilliant email etiquette to reduce the number of rounds of the email thank you game and hence stop email overload. Here is what I would say in my email as the sender. Sender – Please can you do X and if possible by noon today. Many thanks for your help. End of the email chain and a chance to reach inbox zero status more quickly. 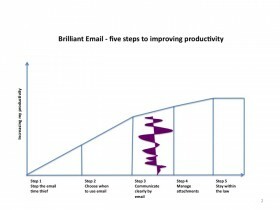 For more ways to save time and reduce email overload by using an alternative medium why not come on one of our Brilliant Email masterclasses or webinars? 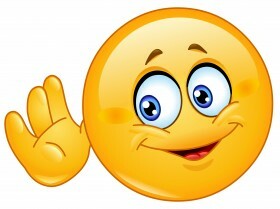 What email etiquette do you use to be courteous yet reduce the rounds of the email thank you game?